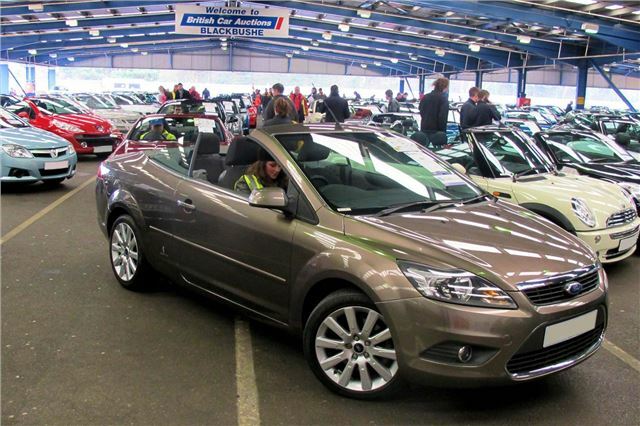 BCA and Lex Autolease are to hold two huge convertible auctions at Belle Vue, Manchester on Thursday 14th March at BCA Blackbushe in Surrey on Saturday 23rd March. Lex Autolease will offer around 200 convertibles in each sale, with the selection ranging in value from under £4,000 to over £40,000, meaning there is something for everybody at every price range. The sale is open to all buyers, with BCA account card buyers able to bid via BCA’s Live Online service. For full details of the entry and to see images and condition reports on the cars log onto www.british-car-auctions.co.uk. The event features cars entered direct from Lex Autolease and Black Horse, with a mix of business, ex-lease and finance cars. All the cars in the sales will have the benefit of BCA Assured which provides peace of mind to buyers by providing a report on a 30 point mechanical check carried out by an independent motoring organisation. Every car in the sale will be prepared to a high standard with a Smart Enhanced Valet. All the finance cars in the sale will all benefit from a Black Horse Care Pack, which will contain the V5, MOT and service history (if applicable) and will confirm the number of previous owners.